Date Night is celebrating an anniversary. It’s our 31st wedding anniversary and we are lucky enough to get to celebrate it twice. For our first fete, we meet my parents at one of their faves, Pricci in Buckhead. “We have never had a bad meal here,” my dad says to me. Pricci has been here for a long time, and we will soon learn why. Date Night is on Tuesday night this week and Pricci is packed. 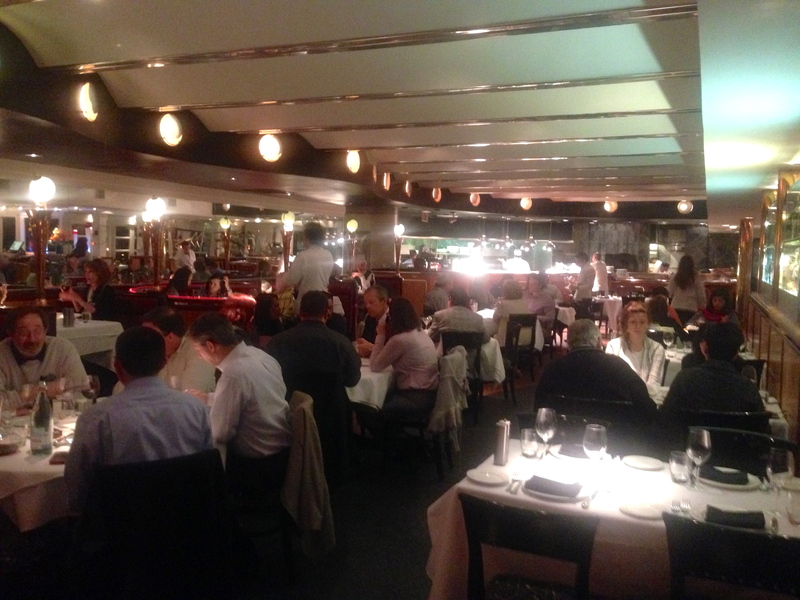 It is one of the Buckhead Life restaurants, which means we are looking forward to good food and good service. Tonight, we are happy to say, we get both. 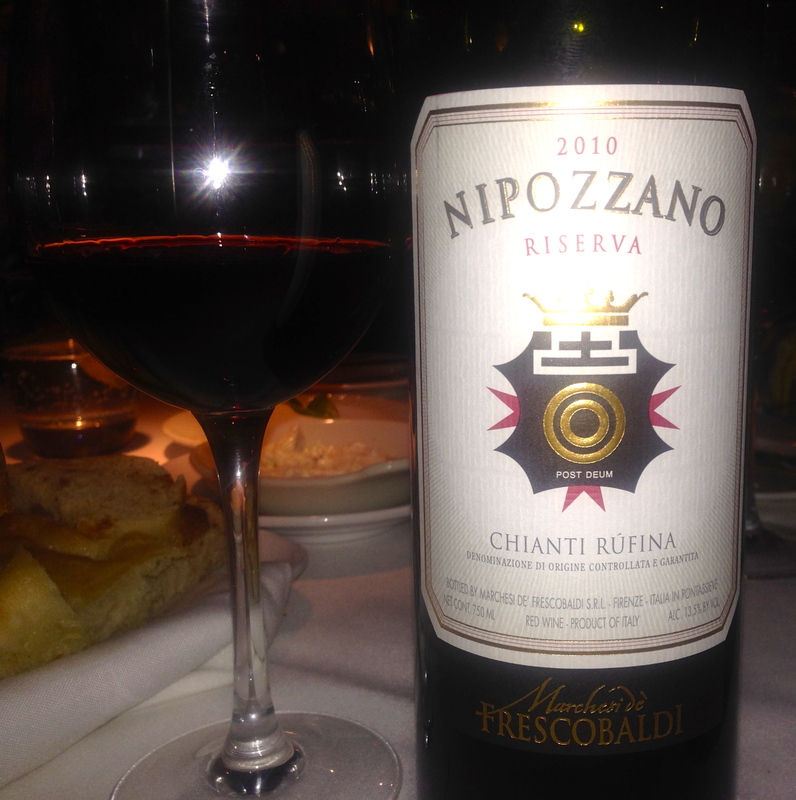 We like a good Chianti with our Italian food, probably because we visited the region in 2010. This wine is great with the dinner that is about to be served. 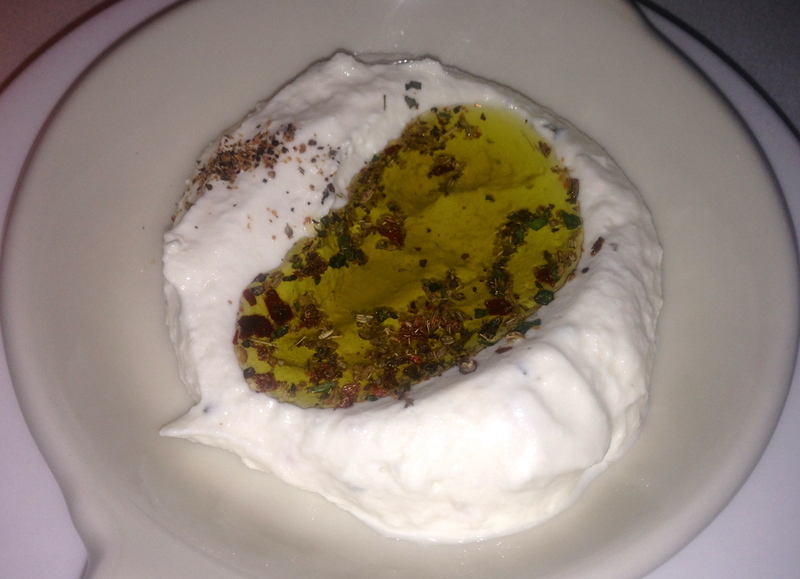 They start you off with house-made ricotta cheese that’s covered in olive oil. 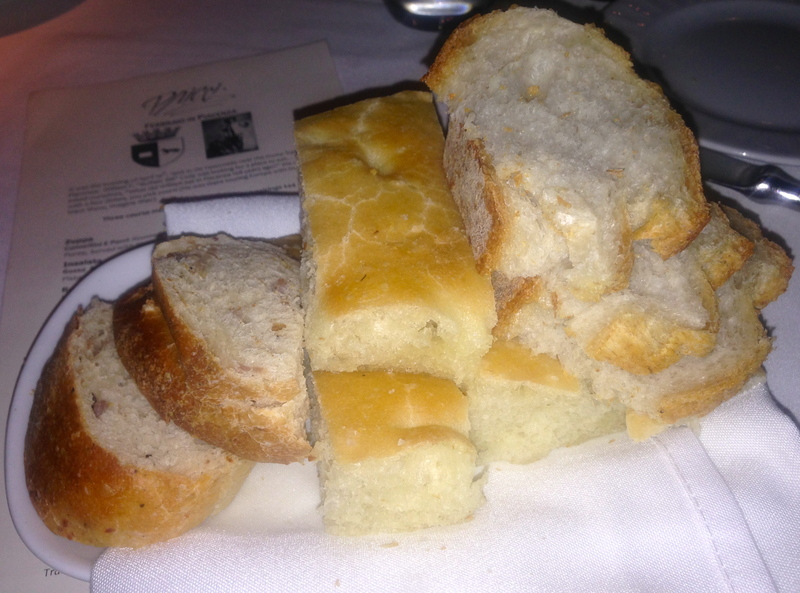 Slather it on some soft, warm bread and you have an incredible treat. Pricci has a three-course price-fixed meal that starts at $29. That’s a good deal for an appetizer, entree and dessert. Eve decides to get it and share the appetizer and dessert with me. We start with the insalata that they split in the kitchen for us. This is incredibly fresh with some of the crispest lettuce we have seen in a long time. 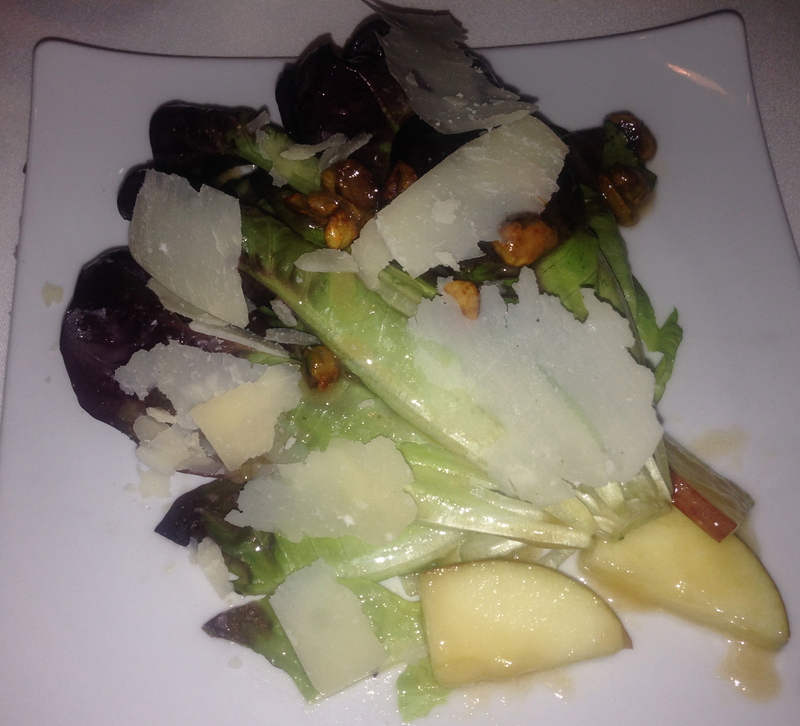 There’s apple, pistachios and large slices of hard grana cheese to balance out the apple dressing. 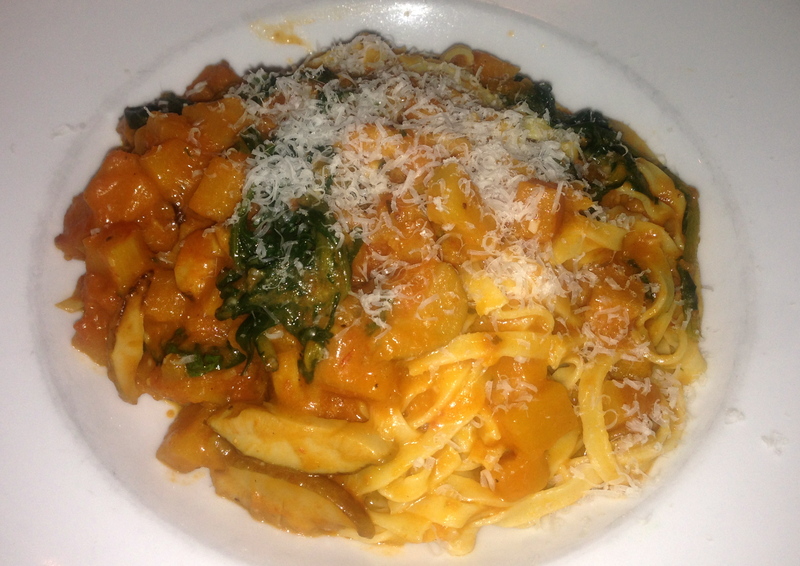 Eve’s main course is a special tonight, fresh tagliatelle pasta with chunks of pumpkin, mushrooms and dandelion. We don’t see a lot of dandelion on menus. Did they pick this in someone’s front yard? We like it and it reminds us a lot of kale or chard. This is so good, but you will have to take our word for it because this menu rotates every month and by the time you read this, it will have changed. 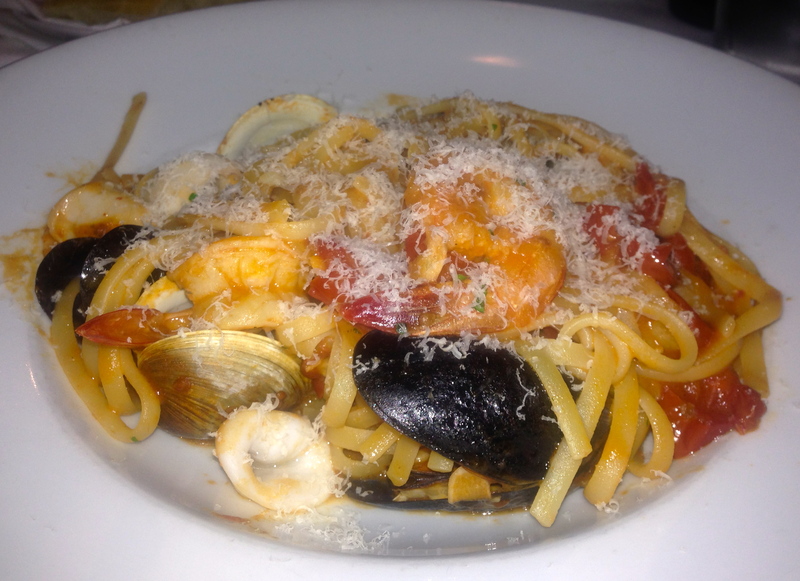 I want fresh pasta and order the linguini with seafood. My bowl is full of hearty mussels, clams, shrimp and calamari. I don’t know how I finish all of this. Eve is smart and takes half of hers home. Boots and Ken get the same thing, the bronzino. 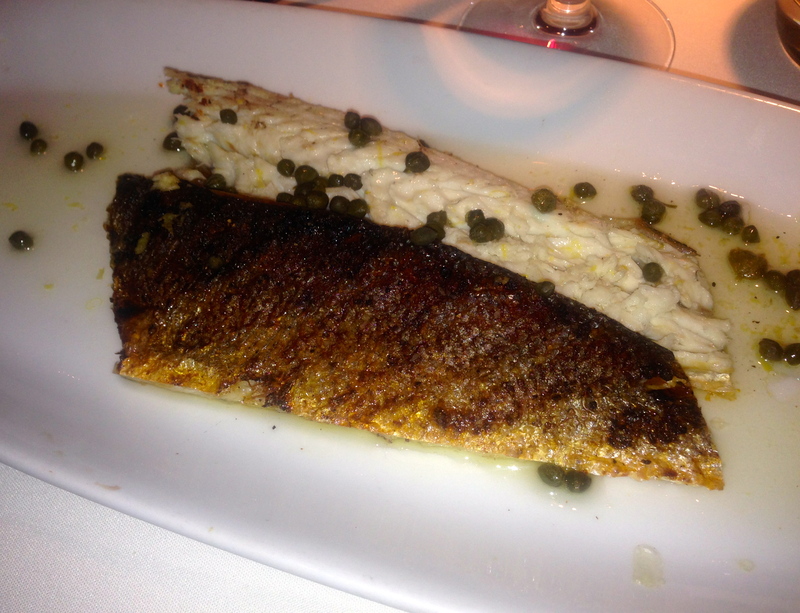 The fish is prepared simply, with lemon, olive oil and capers. This is a mild fish, and their meal is actually healthy. I snag a taste and like its simplicity and light lemon flavor. 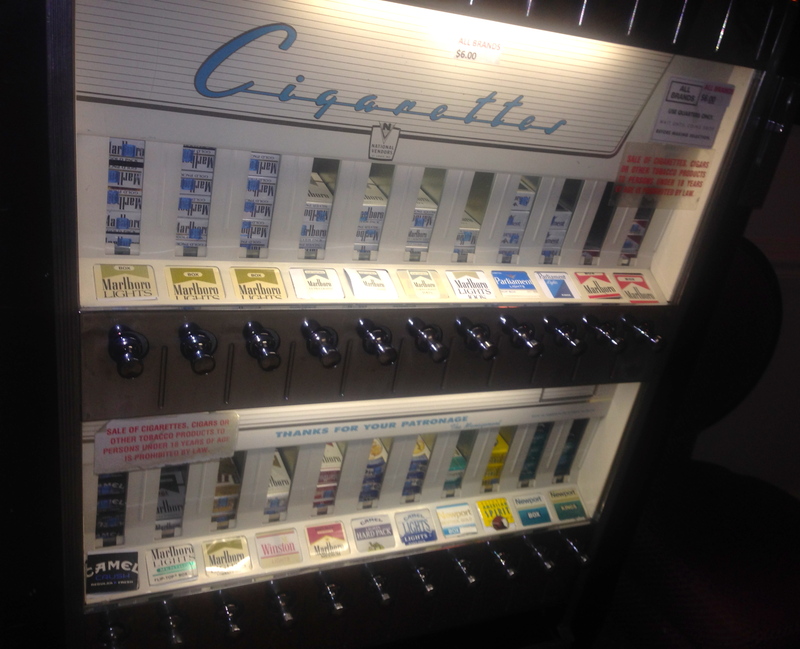 On my way to the rest room, I spy this vintage vending machine. $6 a pack. Why does anyone smoke? We are supposed to split a dessert at the end of Eve’s meal, but our waiter announces, “it is your anniversary, I will bring you two desserts!”. We actually get three. 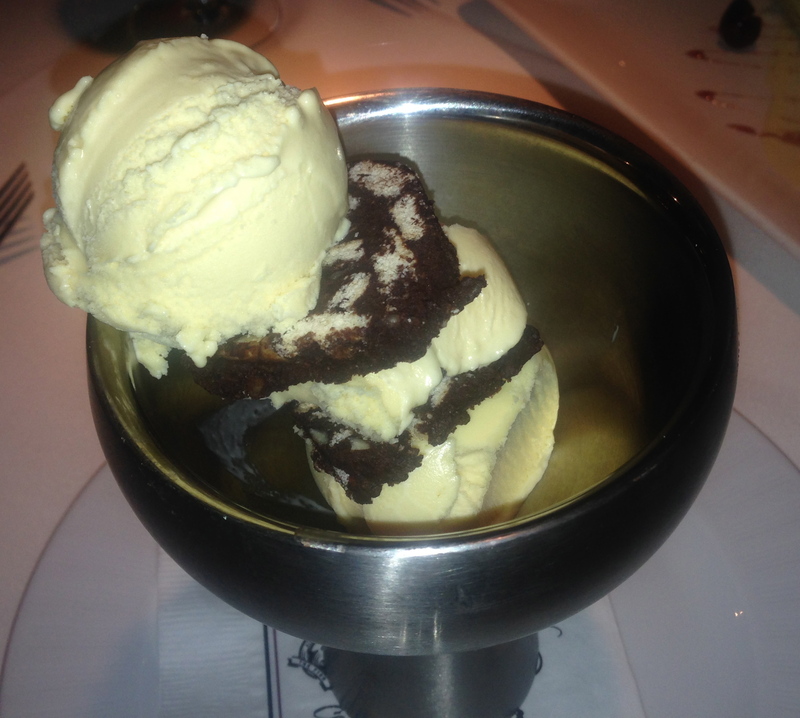 The gelato comes with a “chocolate salami”, which is made from chocolate and biscotti. That’s pretty creative, and the hard crunch of the cookie is a nice accompaniment to the soft frozen treat. Our next dessert is the torta. 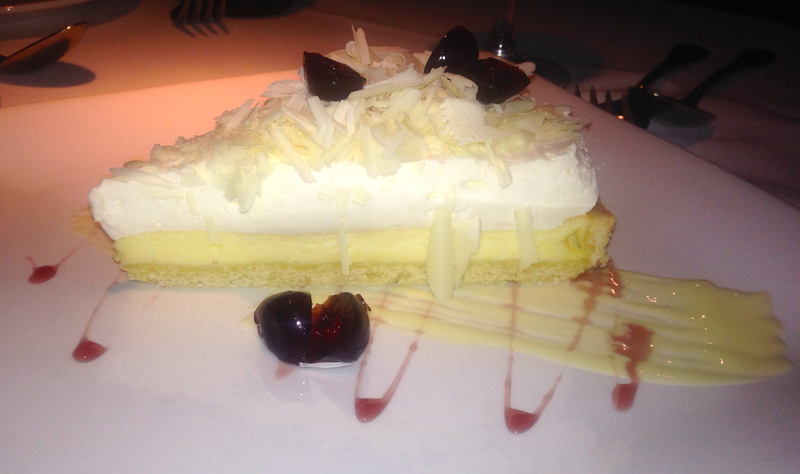 It’s a tart with milk custard and shaved white chocolate. Think coconut pie without the coconut. Delicious. 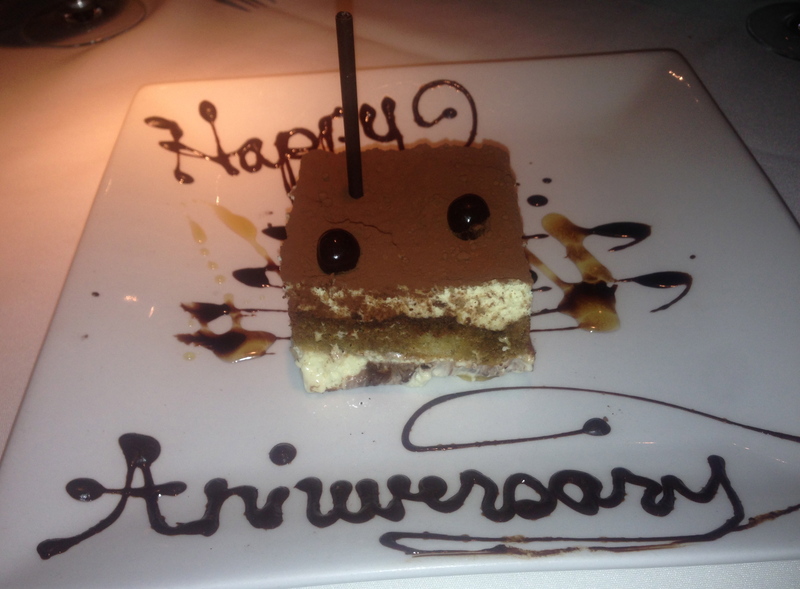 For the grand finale, we get tiramisu, the traditional Italian dessert. It’s full of coffee flavoring and they have soaked the cake part of it with an amazing liquor. We are very impressed with the presentation. We want to lick the chocolate off of the plate, but Date Night would never do that. Or would we? The bottom line on Pricci: We have never had a bad meal here either. Although you can go on a special occasion, the prices are reasonable enough that you can come more often. They have been here a long time and there is a reason: consistency. Good food, service and reasonable prices for the portions served (at least in Buckhead) make for an excellent Date Night. Wonderful review, and happy anniversary!